Popular television shows such as Modern Family and the Brady Bunch have brought the dynamics of stepfamilies into mainstream pop culture. However, as families become increasingly diverse and complex, defining family relationships remains a tad tricky. Now, researchers from the University of Missouri’s College of Human Environmental Sciences and Sinclair School of Nursing are shedding new light on what happens within a family when the step-grandparent had no active role in raising the parent of the step-grandchild. 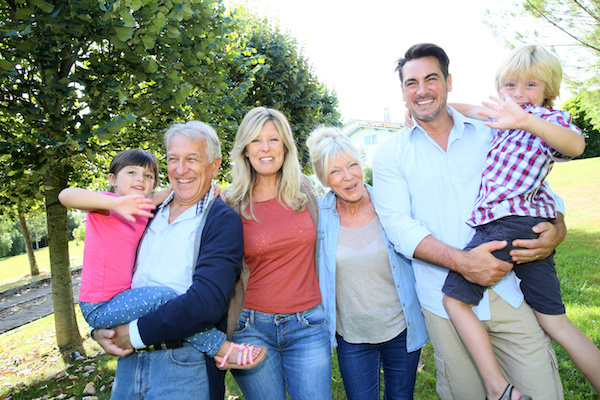 If you became a step later in life, after the children were grown, or if you became a step in a dynamic that didn’t involve childrearing with your significant other, there’s naturally an impact on your role asp-grandparent. But it doesn’t mean you can’t have a close connection. The study findings indicate that how a parent behaves toward the step-grandparent determines the relationship between their child and the step-grandparent. Coleman, along with Larry Ganong, co-chair of the Department of Human Development and Family Science and Ashton Chapman, a doctoral student at MU, examined 35 relationships involving skip-generation step-grandparents. They wanted to understand what determines strong relationships in a blended, multi-generational family. They conducted interviews with step-grandchildren and found that the relationship between step-grandchild and step-grandparent was influenced by cultural stereotypes, the parent’s relationship with the step-grandparents and the parent’s role as “gatekeeper” either facilitating or inhibiting the relationship. They also found that in every instance, the step-grandchild mirrored their parent’s relationship and perception of the step-grandparent. In cases where the parent modeled a close relationship with the step-grandparent and facilitated bonding between the step-grandparent and child, kinship in the family was stronger. In cases where the parent felt torn between biological parents and stepparents, those feelings could transfer to their children impacting relationships with step-grandparents. Your relationship with your partner’s adult children—even when you didn’t help raise them— dictates the quality of your relationship with your step-grandchildren. The study, Like My Grandparent, But Not: A Qualitative Investigation of Skip-Generation Stepgrandchild Stepgrandparent Relationships, recently was published in the Journal of Marriage and Family.